When Zoe Sugg launched her first Zoella Beauty range, I didn’t run out to buy anything as I didn’t think it would be for me. I assumed that the range would be more aimed at her loyal fans rather than being quality products that I could see myself using for years to come. Then, when I was placing an online beauty order, I picked up a bottle of the Soak Opera Bath and Shower Cream but when it came to using it, I didn’t think it was anything to write home about. The scent was ok, not something I’d choose and I just felt as though the product was a bit meh. Zoe then launched her second Zoella Beauty collection called Tutti Fruity and when I watched her video about it, I definitely thought that this would be a collection that would better suited to me because the products are a little different from the first line and the scent is more fruity. I had a sniff of the Body Mist in Superdrug and much preferred it to the first line so I picked out three products to try that I thought I’d get the most use out of. The first product that I bought to try was the Zoella Foam Sweet Foam Cleansing Shower Gel which contains extracts of Acai and Blueberry has a gorgeous light, sweet scent. It has a beautiful pink pearl colour to it and together with the pink and aqua packaging, it looks really pretty on the side of my bath. The shower gel foams up really well, feels quite softening on the skin and cleans my body effectively without stripping it or drying it out. I really like this shower gel and would definitely repurchase it. I think that it would be the perfect size for a two week holiday away because its a big bottle but not too big. 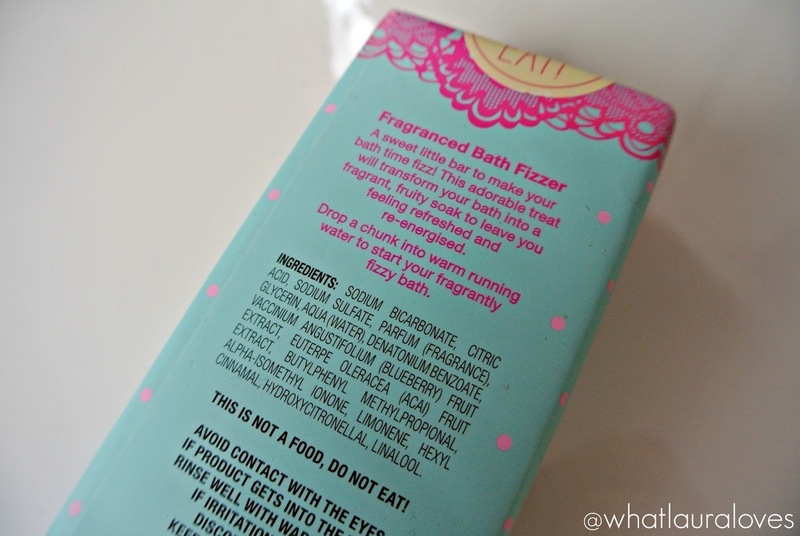 The second product that I tried was the Zoella Fresh Fizz Fragranced Bath Fizzer, which opens a bit like a chocolate bar and inside there are four large rectangular bath fizzers that are embossed with bows and letter Zs. To use, you simply break off a piece and and pop into your bath. It fizzes away so well and I was so surprised at how much fragrance it kicks out. I could smell it right along the hall and into the bedroom. I love the scent of this range as it is fruity but not too sickly sweet. 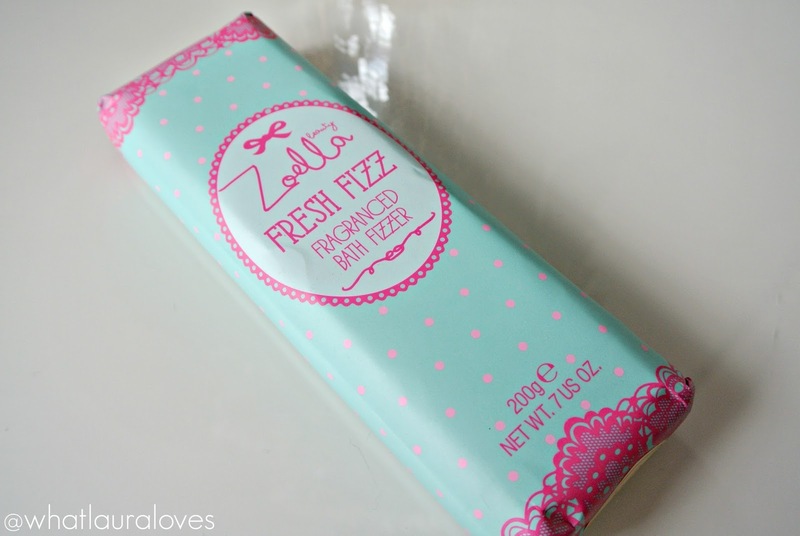 Again, this is another product that I would repurchase from the Zoella Beauty range. 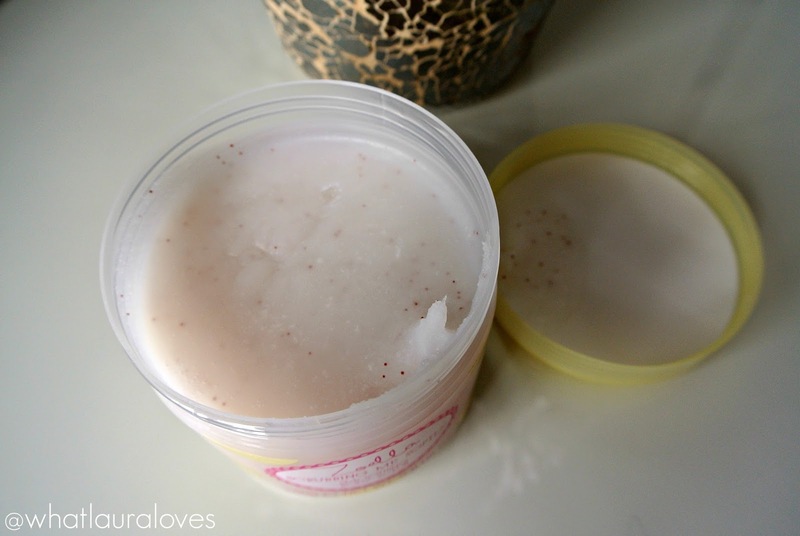 The third and final product that I have tried from this range is the Zoella Scrubbing Me Softly Smoothing Body Scrub. I said on Twitter and I’ll say it again, this stuff is incredible and its the first product that I’ve found that I would say I like just as much as the Soap and Glory body scrubs which is a pretty big statement. Not only does this scrub smell incredible but it is packed full of exfoliating particles that have a great abrasive effect on the skin. 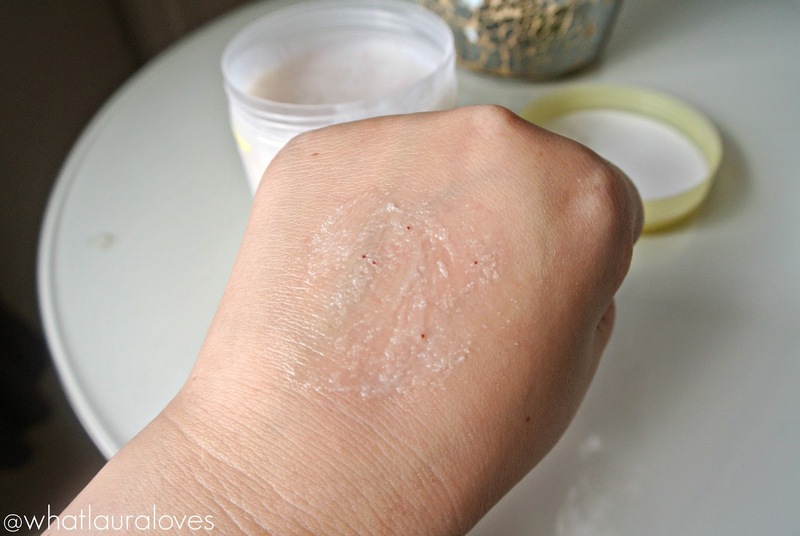 It is so good at sloughing away the dead skin cells and leaving the skin feeling smooth, soft and supple. I absolutely love it. Needless to say, I’ve already repurchased another 3 on the current 3 for 2 offer. I’m so happy with everything that I bought from the Zoella Beauty Tutti Fruity range and I’m so pleased that I gave the brand a second chance! To see the full Zoella Beauty range, click here. What products have you tried from Zoella Beauty and what did you think of them? I think I will be trying the body scrub. It looks great.